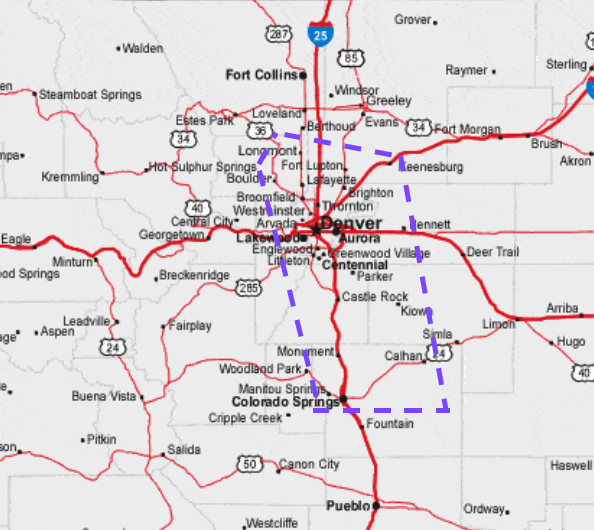 Our normal practice area is along the front range from Monument to Loveland and as far east as Kiowa. 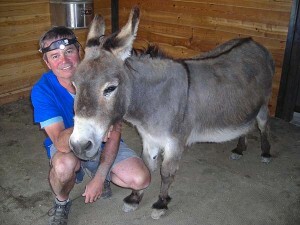 From drafts to donkeys to miniatures we are dedicated to providing excellent care. Contact us today to schedule an appointment for your horse. We are Colorado's favorite equine dentistry team. Contact us to learn more. *Call (303) 805-1737 with any questions or to make an appointment or contact us via email or click here to use this form. Our normal practice area is along the front range from Monument to Loveland and as far east as Kiowa. We frequently are in the Evergreen, Conifer, and Bailey areas usually on Fridays. We also service other regions such as Fort Collins, Colorado Springs, Pueblo, Silverthorne/Dillon, Vail, Guffey, and South Park if enough horses can be scheduled to warrant the additional travel time. Check out our practice area map below! If you live in PARKER or the surrounding area and need a trusted equine dental care provider – look no further. We are happy to offer a number of resources that enable you to learn about how to take better care of your horse. Please feel free to browse our site, particularly the informational articles. The best veterinary care for animals is ongoing nutrition and problem prevention, so becoming knowledgeable about preventative horse care is essential to the ongoing success of your animal’s health. If you have any questions, call (303) 805-1737 or contact us and we'll promptly get back to you. We also welcome you to subscribe to our newsletter, which is created especially for our owners.